The old and correct formula of Aloe Rid. Hair follicle drug tests are the toughest types of drug tests to beat (unless you’ve been staying clean, of course, then they should all be equal). They are highly accurate and generally go back 3 months. But there are ways to do it, which is where the Aloe Rid detox shampoo (full name is Nexxus Aloe Rid gentle clarifying shampoo) becomes relevant. In this Aloe Rid review I will share with you the general consensus on this shampoo regarding drug tests, as well as my own opinion and explanation of its efficacy. The Nexxus Aloe Rid Shampoo is generally considered the best detox shampoo to pass a hair test, and for good reason..
..Namely, A LOT of people have done it with its help. In the shady (public opinion, not mine) world of cheating drug tests, this is the best possible evidence to go on to decide whether a product works well or not. PERIOD. There aren’t really any competitors to it worth mentioning at this moment. Only a bunch of same-day drug test shampoos that are not at all as consistent on their own. Thus, they’re not competitors at all, but rather, synergistic. It’s very important to remember that it’s the old version of Aloe Rid you want, not the one sold in regular stores. Test Clear sells this one. The newer version doesn’t have the same active ingredients, the ones we are looking for. What Do I Think Of The Nexxus Aloe Rid Detox Shampoo? I think it’s a pretty darn expensive shampoo. Nonetheless, I LOVE IT. 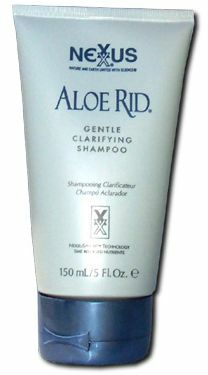 Aloe Rid has helped me pass 3 hair follicle drug tests while I was far from clean, so how could I not? Because of how many other people who can attest to this as well and have shared their results online, it’s safe to say that it’s really effective for this purpose. Aloe Rid is at the very core of what I recommend to pass a hair follicle drug test, which says a lot, since I’m really picky with what I use for important matters like this. Why is it so effective though, compared to all the other detox shampoos available? How does it work? If it gives results, it gives results, right.. That’s all that matters in the end, but how it works is still interesting. The way the Aloe Rid detox shampoo differs from the vast majority of other detox shampoos, is that it isn’t used to just mask the toxins. It’s used to expel them. To remove them. This is a difficult thing to do, since toxins are trapped inside hair follicles. Very few things can get them to open up, but Aloe Rid seems to be one of them (especially when doing the Macujo Method. When you combine Nexxus Aloe Rid with the Ultra Clean shampoo from Zydot (a same-day detox shampoo) a real synergy takes place. Aloe Rid removes a large part of the drug metabolites from the hair follicles in advance, making the much smaller amount that is left much easier to mask with Ultra Clean. This is also the reason they’re exclusively sold together – to make sure customers get satisfying results. A win-win for everyone involved I suppose. As of where to buy the correct, old version of Aloe Rid, since it discontinued there is only one place I know of that still has it, which as mentioned above is Test Clear. 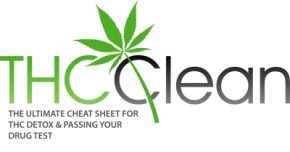 They focus on drug detox products rather than hair products, which is the reason they have gone out of their way to have the old Aloe Rid Clarifying Shampoo manufactured for them still. If in doubt of how to best use it to pass your hair test, check out this guide. Have you passed a hair follicle drug test using Nexxus Aloe Rid Shampoo?